Dave Keogh has a business specializing in custom beer tap systems. 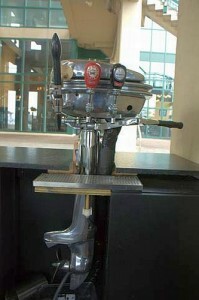 Who would have thought that you could create a beer tap from a 1948 Sea King outboard motor? 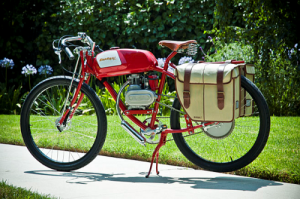 A modern interpretation of the board tracking racing motorcycles of the 1920s, Derringer cycles capture the simple, pared-down, aggressiveness of early motorsport while delivering an intricate level of personalized customization. Like their owners, no two Derringer cycles are the same. For the discerning rider, Derringer offers the opportunity to own a truly unique, one-of-a-kind motorbike that combines innovative engineering with a classic high-performance aesthetic. Powered by a moto-hybrid drive train, Derringer cycles are built for our modern age. With superb fuel efficiency they have a range of 180 miles per gallon.The ultra-clean four-cycle power plant also meets stringent CARB tier 3 emissions standards. These bikes travel at 35 mph and their fuel consumption is 180 miles per gallon! It’s all about summer! See this Kid Rock Video that is rocking the music charts. Features a Chris Craft Utility classic boat. It combines two great songs “Werewolves of London” riff and Sweet Home Alabama” riff. Hannan Custom builds custom “fat boy ” bicycles with all stainless steel frames, amazing custom workmanship and they can probably fabricate anything you need. 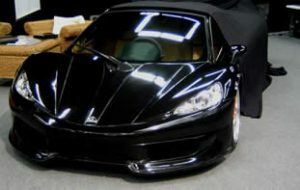 Would you like to see how there newest model rides checkout there web site for pricing and details & pictures. Meet Miles who is blind but he races cars, and flies jet planes despite his visual handicap he joined the air force. Watch as he performs stunts flying a jet war plane. The beautiful Ligurian coast of Italy was the setting for the first of this year’s annual ‘Riva Meetings’, with both traditional wooden motorboats. Some great photo’s and a great car site as well. The Fleetwood Country Cruize In is held each year in London Ontario and it raises money for London Ontario area charities. Sponsored by the Plunkett Foundation this is one of the best Car Shows in the Country and I hope you will visit next year and contribute to an even more successful event ! 40 acres, 1,800 cars, dinner under the white tent for 2,500 people with live entertainment and bands ! Plethore is built by Quebec based HHT Locus Technologies This exciting 3 seater with centre console steering retails for approx $330,000 and features a carbon fiber body and chevy sourced 8.2 liter V-8 engine with 750hp. It can be ordered with up to 1300hp. What is exceptional about this car is the weight to power ratio that borders on F-1 standards of 1.88 lbs/hp. Click on this link to see other pictures of what is most important for speed, weight to power ratio. Great work and what a beautiful design. California License VW Beetle with a 1350 hp jet engine for a little boulevard cruising complete with a built in BBQ. Our hats are off to these incredible project. The builder holds a PhD in Mechanical engineering from Stanford and this is a very serious car. check out rons web site for more pictures and info. The Telsa is an electric car capable of 0 to 60mph in 4 seconds. The Lotus Elsie contributes the body and is another very fast car with unique styling at a very competitive price. The key is weight to horsepower ratio’s. SUV are fat. Llean light and fast is the way to have fun and it leaves a smaller footprint. The Ariel Atom follows form and function in her no nonsense unique light weight design that is one fast car that brings out the 10 year old go-cart fan in adults. Now you can experience this car at a number of select tracks in Canada by clicking on arielatomexperience.com Great for rewarding sales achievers and team building or just having fun with your friends. Who is faster ? 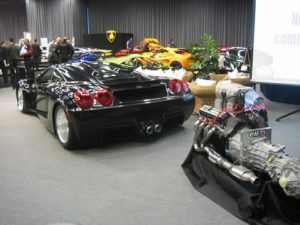 The T-Rex , which is the cars below, is legal to register and drive in Ontario with performance with an exotic vehicle, 0 to 60mph in Performance: 0-60 mph: 4.1 sec. Top speed: 140 mph. and Lateral acceleration: over 1 g.
I loved Italy, and we stayed at wonderful agro tourism farm called Malvarina which is situated in the hills of Umbria a short walk from Assisi and Spello. This farm is renown in Gourmet and Bon Appetite for the cooking school it operates as well as serving organic food and its own wine and olive oil. A wonderful experience I would recommend. Canadian National Pond Hockey Championships and the Masters Championships 2007 will be held in Muskoka, and this event will be held at Deerhurst and you cannot get a greater bunch of Canadians out than pond hockey players. Watch for our in depth coverage of this great tournament. Still team space for men 35+ and for open women’s teams. Now my dad enjoyed curling, and a lot of people enjoy curling in Muskoka so Purchase your calendars) today and support these courageous women of curling, and the continued growth of their sport. I love reading the New York Times, love the articles and the pulse of America, check out this video news cast of the Rat Rods counter car culture show in California. Choose the high speed link if you can. The related article titled, “No Tangerine Flake, Baby:” is extremely informative. 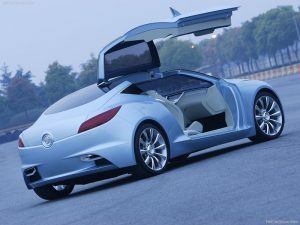 This show featured some of the most unique and innovative car ideas in years and you won’t see a lot of shinny paint and chrome. The Brantford Kinsmen put on a car show that you might like to attend. Gopher Dunes is an event run near Delhi for those who link custom built 4×4’s running through bogs. lots of fun! I think if Ford, Chrysler and GM want to turn their business’s around then they need to roll out a 10 yr 160km bumper to bumper warranty excluding tires and brakes and fluids. The problem with these companies is perception and I will give you a poignant example of my 79 mother who says they (big3cars) are unreliable and one should go out and buy a Toyota Corrolla. If my 79 year old mother who doesn’t care the least bit about automobiles is telling me this, what message is a 20 year old hearing except cheap financing.. Now look at the Pontiac Solstice and the Saturn Skyline. Beautiful cars and a trunk that everyone complains about and they had a development team devoted to this car. Do they not read what the critics had to say about the Miatia? 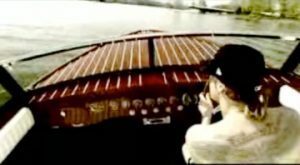 So what does this have to do with wood boats…design function style reliability and fun. Willistead Classic Concours d’Elegance is open to general public for viewing, while the vehicles in attendance are by invitation only. Now you have to see some of these very fine cars. Gords Amphi web site is great reading and you will enjoy it.